As we leave March behind we take a look at the Casino Streamers Biggest Wins – Week 13 of 2018. A great ending to an extremely lucky month for most slot streamers, full of big wins and sick bonus rounds. All the video slot hits come from the 26th of March until the 1st of April 2018. 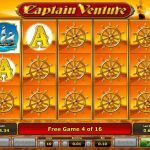 Lastly, if you want to try any of these slot machines, you can play them, for real money, on any online casino on our trusted casino list. One of the best comebacks on stream from Nick last week. The Brit was playing on Casumo when two bonuses took him from ripping to cash-out land. First it was the good old Lord of the Ocean slot which payed big. Then it was time for Dragon Born to make its mark with a one spin win thanks to a combination of tens. We continue Casino Streamers Biggest Wins – Week 13 of 2018 with D-Lab and his big win on Dunder casino. The slot streamer was playing the Danger High Voltage video slot with €4 bets when he triggered the free spins. In addition, thanks to the “10”s and the special transforming symbol, multiple wilds filled the screen. Hence a total win of €1380. Get paid! Traveling to Germany we find Shirox owning the Mystery Joker 6000 slot. This is a relatively new Play'n Go slot which has not gotten the popularity it deserves. It was here that our casino streamer triggered the bonus wheel, for a mega win of €1500. If you want to try this slot game yourself you can find it on Kaboo. Another German slot streamer winning big was Slotspinner. The game was White Rabbit and the stake €2.5. We are all familiar with the huge potential of this BTG slot. Even one 12 symbol high Queen reel is enough to give you stupendous wins. That’s exactly what our casino streamer got, winning a total of €2460. 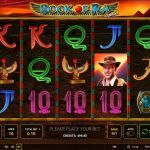 Try this video slot on Rizk and let us know how many re-triggers you get. The best slot win of last week comes from Huneasd. However on one side the win was super massive, but on the other, the potential was much bigger. Specifically the casino streamer was playing €1.8 bets on Dead or Alive when he triggered the free spins feature. Here the sticky wilds could not stop coming, and at the end there were ten of them filling the screen. Unfortunately though no wild line for our streamer. Regardless the total win was still a massive €2095. Head to Unibet to play DOA and make sure to share with us your wins. 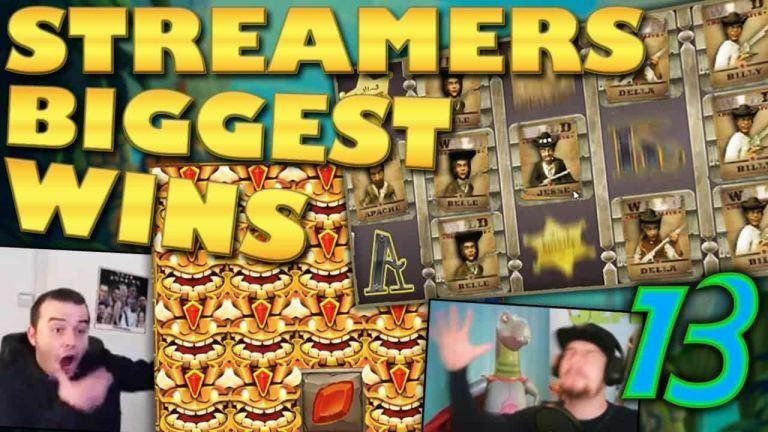 Before we end Casino Streamers Biggest Wins – Week 13, we have to give a shout out to these two slot streamers. Even though we have included their awesome wins on our compilation we do not have separate clips of their hits. The Bandit won big on the Garden of Riches slot which you can find on OVO casino along with all other Novomatic titles. As for Kim! - Well let’s say thanks to me he got a massive hit on the Tiki Tumble slot while playing on Highroller casino. I should really stop winning on other people's streams. Tell us which win on Casino Streamers Biggest Wins – Week 13 of 2018 was your favorite. Share your thoughts in the comments. Also make sure to check our other videos on CasinoGround’s YouTube channel.